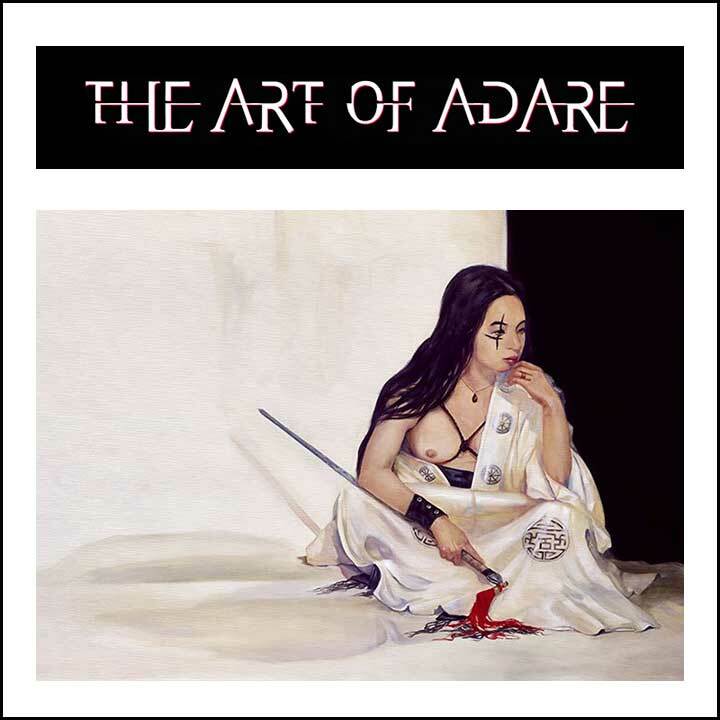 A classically trained evocative artist, Adare's newest series explores the dynamic cultural identities of the twenty-first century. Using corsetry as a symbol of Restraint & Revolution, Adare's provocative, noble, and intimate portraits appear to breathe on the canvas. "Paintings are reflections in time, captured, still breathing. These windows to another's soul are to be examined by all, beheld by many and moved by what I can hope for, within you." It took only one visit to Hawaii in 1976, for Peggy to fall in love with the flowers, the land and the people. Each time she returned to Hawaii she found it more and more difficult to leave. 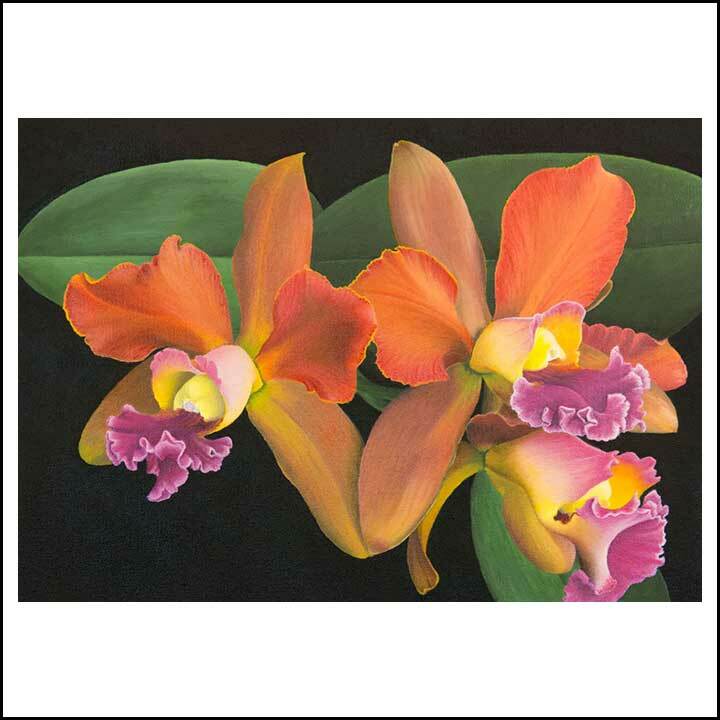 Award winning Hawaii artist Ira Ono has been a celebrated creative force in the arts for over 40 years. The experience of living in the Volcano rain forest and studying its changing moods has provided inspiration for many of Ira's paintings. In the blink of an eye, everything changes and even the most mundane objects can take on a mystical quality. Ira has a number of works in the Hawaii State Museum and the Hilo Art Museum. His pieces have found their way into important collections in this country as well as Europe and Japan. Alexander is a contemporary figurative painter currently living on the Big Island of Hawai'i. He was born in Santa Fe, New Mexico where he worked under various artists and became fluent in multiple two and three-dimensional disciplines. This path led to a painting style that is both sculptural and painterly. Rokoff's central focus has always been the figure. It is here that he explores the language of gesture and expression and creates imagery that is evocative and timeless. In 2014, Alexander visited Hawai’i and was captivated by the people and the beauty of the Big Island. Just a few short years later he relocated his home and Rokoff Studio to the Island of Hawai’i. Here, Alexander and his fiancé / Rokoff Studio Director, Camille Messina, show new collections regularly and host painting lessons, all with a passion to keep the flame of craftsmanship alive. Christina Skaggs believes that her work is infused by metaphysical forces and that this interaction with spirits and ghosts from ancient global civilizations is what endows their inspirational backbone. “Makes my job easy, except that they drop in at the most inconvenient times” she jests. Skaggs’ work has been presented at the International Exhibition of Contemporary Islamic Art in Dallas Texas, selected by the curator at the Metropolitan Museum of Art in 2016 and in 2017 by the curator at the LA County Museum of Art. Last March the Architectural Digest Design Show invited her to show a large collection of her work in NYC. Skaggs zen like uniquely textured paintings are collected at luxury homes and five star hotels, notably at the entry to the spa at the Four Seasons Hualalai and in the Presidential Suite at the Four Seasons Resort Maui at Wailea. It starts with an experience, a feeling, and a subject. I’m drawn to the way light surfs the waves, the way sunset streaks across the sky, the way wind blows through the palms. From the boldness of the distant mountain as it rises above the clouds, to the intricacies of a flower as it opens to the sun, I find myself compelled to pick up a paint brush. I paint in thin layers, building up colors and saturation on the canvas or board. I usually have multiple paintings going at one time to allow drying time between layers. When the painting reaches the image in my mind’s eye, capturing the moment, relaying my vision of the world, then it is done.